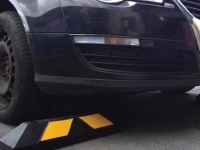 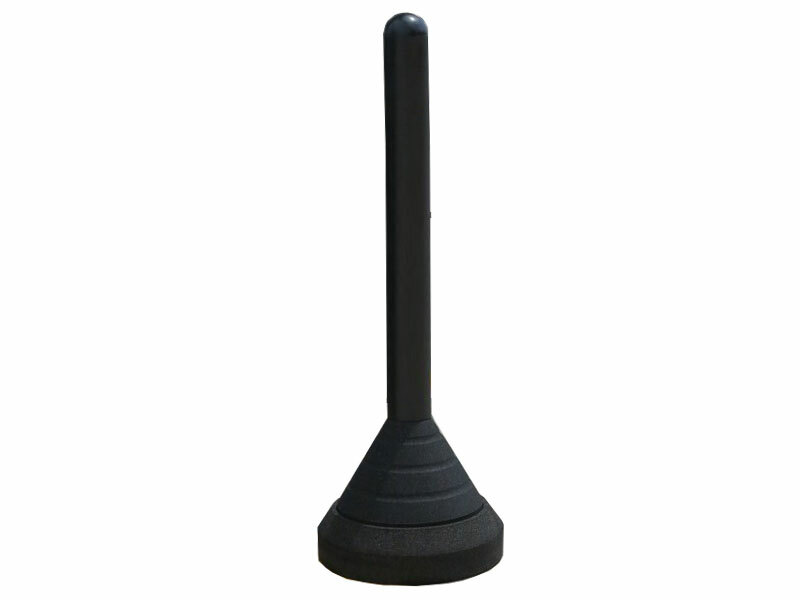 Portable and moveable RubberForm’s recycled rubber Bollard Post Base lets your customers, employees and visitors know you not only care about their safety, but also the environment. 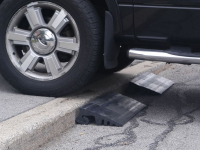 Our Bollard Base is made in the USA from 100% post-consumer recycled tire rubber and recycled plastic. 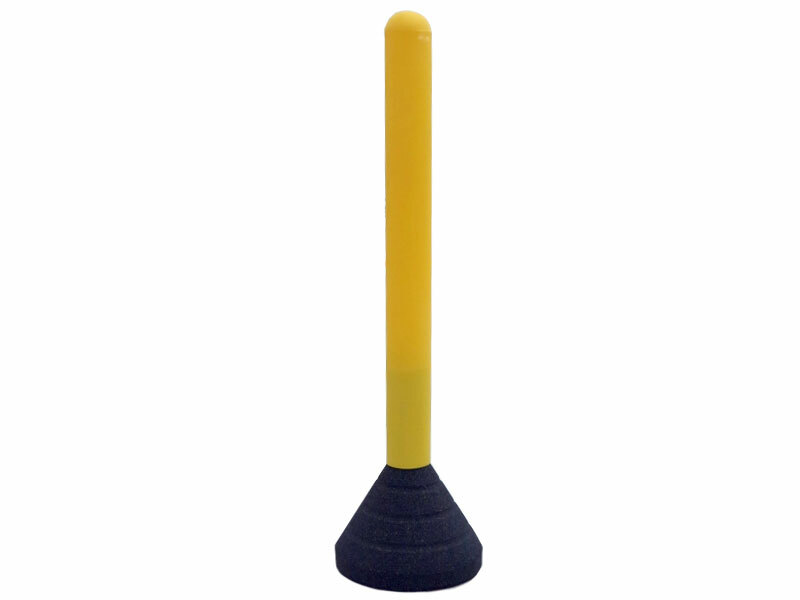 Combined with our plastic bollard sleeve, they make an excellent chocie for Green or LEED certified building projects. 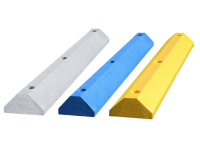 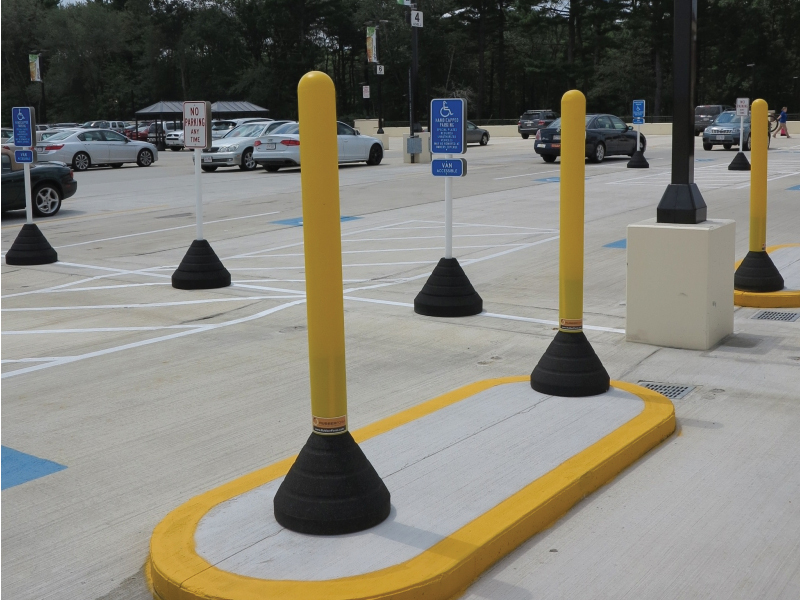 RubberForm’s attractive and durable Bollard Base is ideal for parking lots, parking garages, crosswalks, schools, shopping malls, grocery stores, plazas, universities, hospitals, airports, construction sites, govenment facilities and many more. 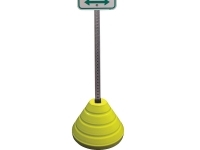 Use it anywhere portable or a semi-permanent bollard post is needed - such as Handicapped parking spots, entrances, pedestrian crosswalks, intersections, corporate facilities, events, and more. Aerodynamic and heavy enough to stay upright, yet light enough to be tipped and rolled to another location.